A little bit of knowledge about how SQL Server works can go a long way towards making large data engineering queries run faster. Whether you use SQL Server as a data source or as a R or Python query processing platform, knowing how it processes queries, manages memory and reads from disk is key to making it work harder and faster. It then introduces some query tuning techniques to help heavyweight analytics queries run faster. 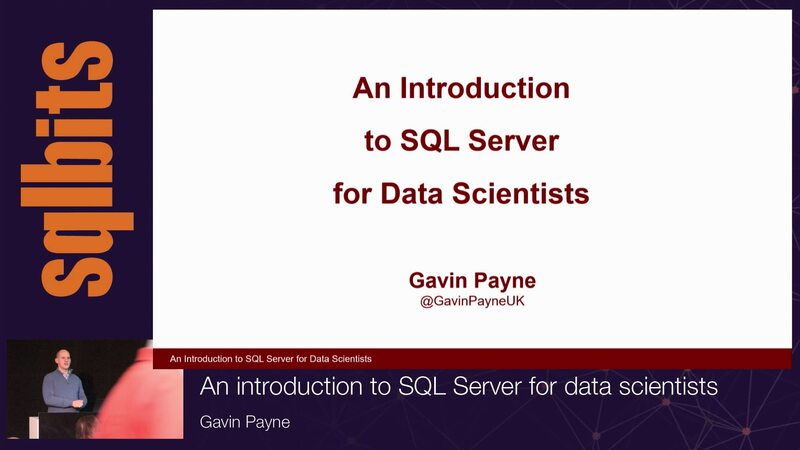 The session uses Gavin Payne’s 20 years’ experience of working with SQL Server – mostly making it run faster, stay secure and remain available.